The city of Wildwood is home to a community of dedicated and involved citizens who work cooperatively to foster an environment that enhances and enriches the life of the residents of St. Louis County. At only 20 years old, the city is young, and was created by residents of the formerly unincorporated portion of St. Louis County so that they may draft the blueprints for their own destiny. Today, the city of Wildwood is home to an involved community with a commitment to the maintaining a city that is both responsible and caring. The city's initiative to maintain a quality of life that is based upon the careful stewardship of the surrounding environment helps to maintain the community's legacy that will be issued forth to future generations. The story of Wildwood is a contemporary tale of an area that was home to a group of residents who wished to form the map to the future of their neighborhoods and their homes. The group of dedicated and concerned citizens petitioned and fought for the creation of Wildwood. In 1995 the city of Wildwood was officially incorporated by an act of the Missouri Supreme Court, which allowed the community's founders to put the incorporation to a vote. Area voters, overwhelmingly approved the incorporation of Wildwood and on September 1, 1995, they city of Wildwood was incorporated and the community began its journey to become a premier city in St. Louis County. The city of Wildwood is home to a multitude of parks and recreational centers. With nearly 20 parks, the city's residents enjoy a diverse array of spaces for outdoor recreation and leisure activities. The City of Wildwood is also the proud home of some of the most exciting multiple use trails in the region. The city enjoys access to trails, such as the Al Foster Trail, which is nestled along the banks of the Meramec River. The City has drafted some exciting new plans for the Wildwood Greenway and the Hamilton-Carr Greenway and is in the process of bringing its vision to fruition. Today, residents of the city can utilize the existing trail system, and the connecting roads to travel upwards of 32 miles and access area parks. Since 2011, the City of Wildwood has been home to a delightful community garden for all Wildwood residents to enjoy. Wildwood's 7,000 square foot garden at the corner of Main Street and Taylor Road is home to 45 raised planter beds and rock and mulch pathways. The city of Wildwood is home to a growing number of regular and annual community events. On Saturdays, the community enjoys The Farmer's Market located in the Town Center Plaza. Additionally, throughout the year, a number of seasonal and community events bring Wildwood residents together. Events, such as the BBQ Bash and the three-day Celebrate Wildwood festival offer up a variety of food, activities, entertainment, parades, games, music, and more. Home buyers relocating to Wildwood will benefit from the expertise of a local real estate professional. An area agent, such as Janice Freeman, has helped countless home buyers find homes within the Wildwood area. 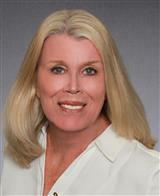 For more information about homes for sale in Wildwood, contact Janice Freeman today.